Wondering when your next bus will arrive? Text or call our Where’s My Bus service to find out. We’re making travelling with us easier, faster and better. 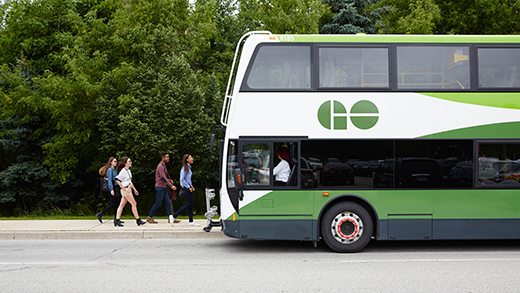 Where’s My Bus will tell you when your GO bus is going to arrive at your stop, Park & Ride, or GO station in real-time. It’s also available for most of the school stops our buses serve. We’re working on adding the ID numbers to all of our bus stop signs later in 2019 and we’ll let you know when they’re installed. 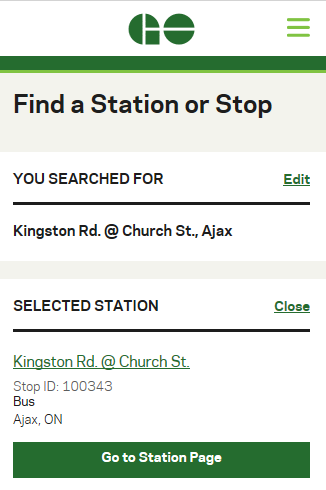 Looking for real-time bus trip information at one of our terminals? Check the digital signs there to find out when your next bus will arrive.